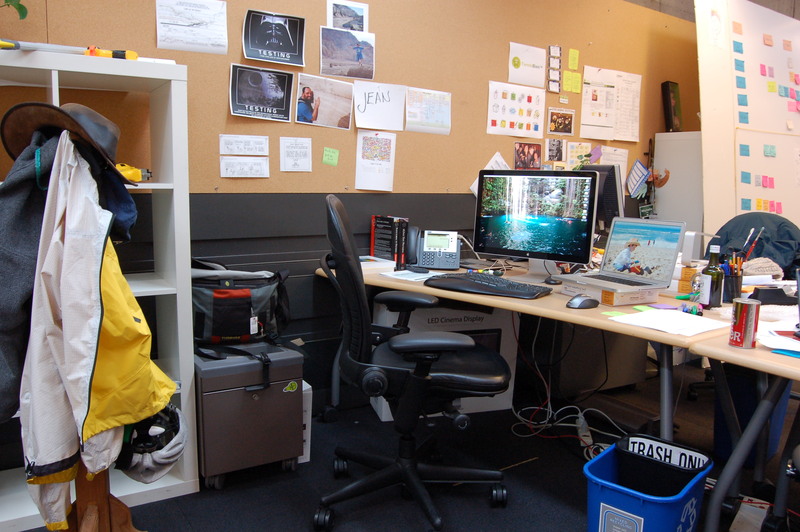 I worked at ShopWell in Palo Alto, CA, in 2009 and most of 2010. 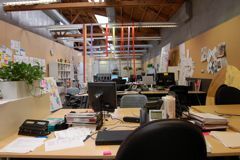 ShopWell's office was one large open space. 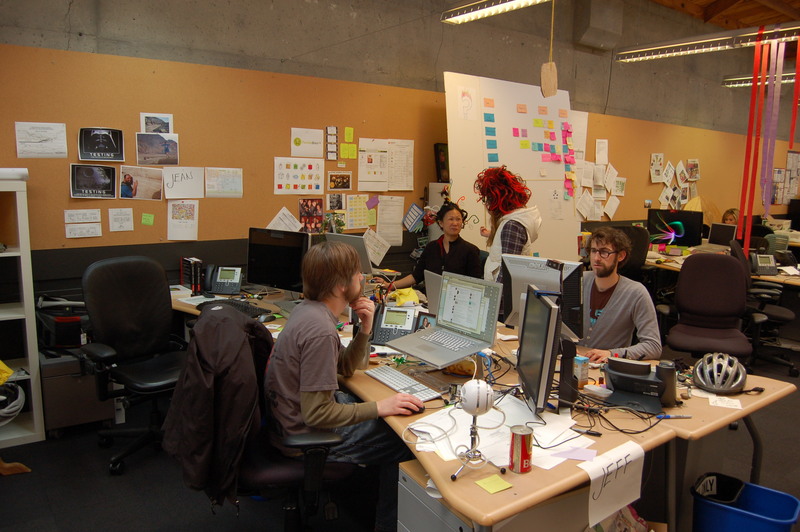 The desks were grouped into pods of four. 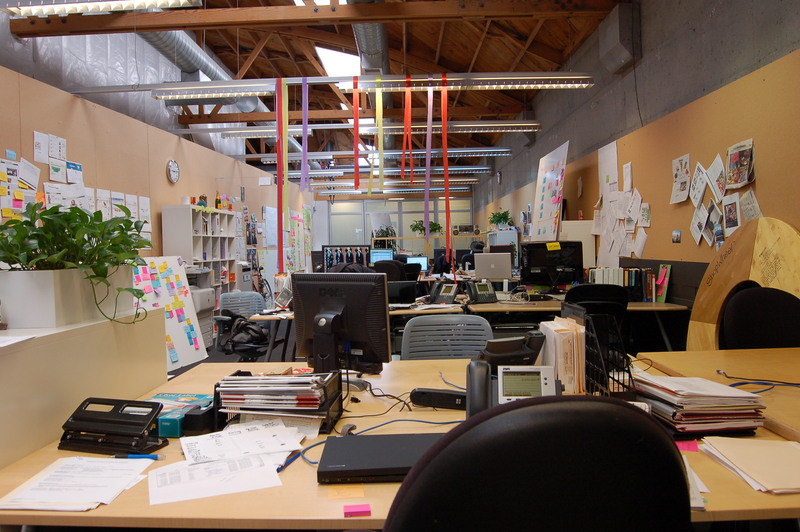 The walls were covered in cork boards and we had many, many foam core boards covered in Post-It notes of all colors as our design tools. These were great for posting designs to review or to track tasks in the current sprint. With all the wall space taken by information radiators, that left no room for windows. Lucky for us there were many skylights to provide us with natural lighting. We did all our development on MacBook Pro laptops. After my previous stint at Google, I was not gonna settle for some tiny monitor. 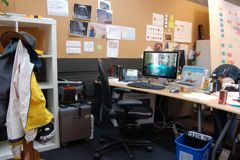 I bought my own 24" cinema display and used it in the office every day. It was really nice, with built-in camera, microphone, speakers, and USB hub. Combined with the laptop's 15" screen, it was almost as good as a two-headed monster. 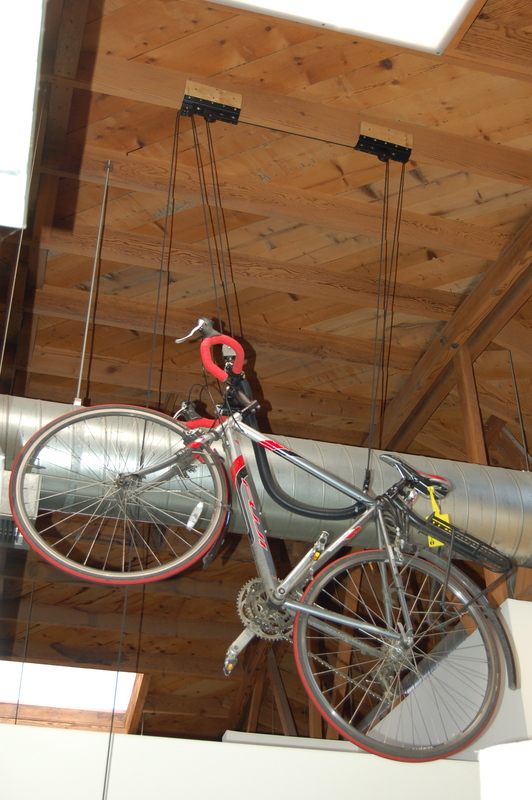 We had a pulley system at the back of the office to park one bicycle on the rafters. It was first come, first served and it almost worked as an incentive to get me into the office early. 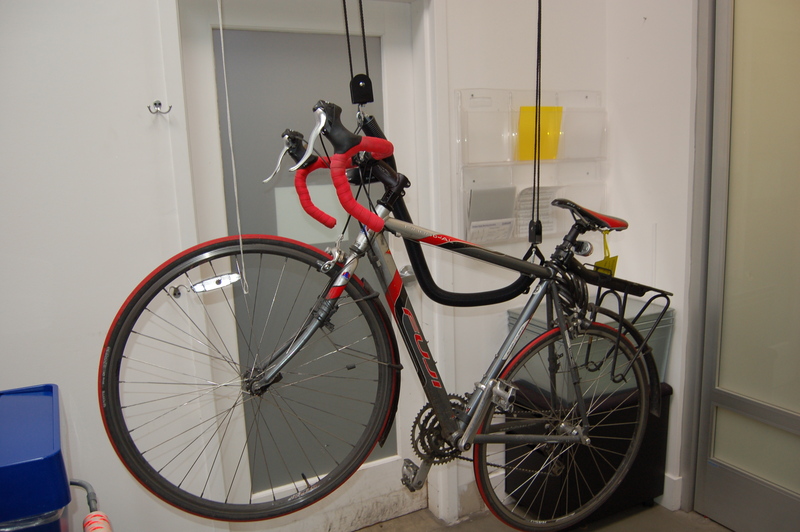 After a few days, though, the overhead of dealing with the pulleys when cutting it close to catch a train meant that I left my bike on the ground instead. Still, you have to admit that's pretty cool. 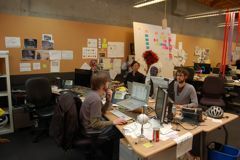 There was a lengthy, three-part article about ShopWell in Xconomy in November 2010.